Sometimes it feels that life is just like a Ferris Wheel, one moment you’re heading up and the next you’re on your way down and throughout your whole journey you repeat this endless cycle of ups and downs, trapped in a tiny little cage with no means of altering your fate that bigger events has swept you up in. 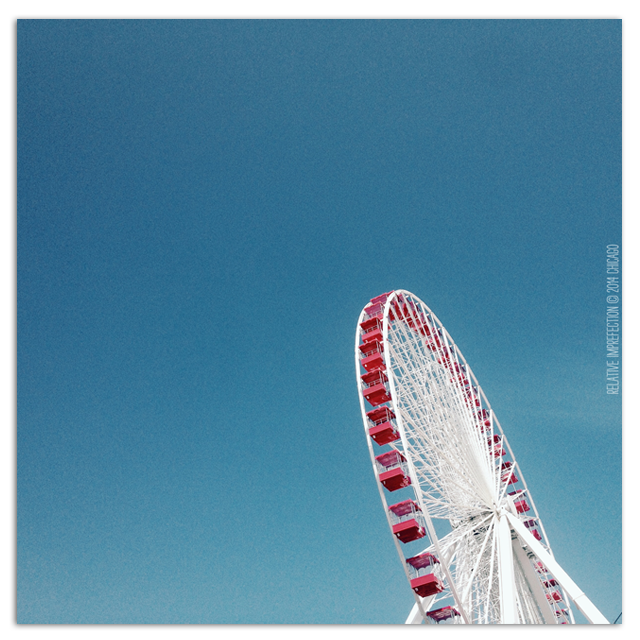 This entry was posted in iPhoneography, my Instagramed, My Snapshots, Photography and tagged blue, Chicago, ferris wheel, noria, quote, quotes, red, red-white-&-blue, Riesenrad, sky, the only way is up, white. Bookmark the permalink.